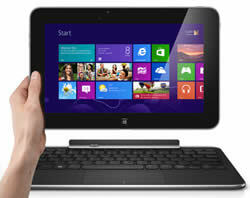 Key Difference: The Dell XPS 10 is a 10.1-inch tablet that comes with a keyboard Dock to make it into a laptop. The screen is an HD Display capacitive multi-touch screen, with 1366 x 768 pixels and an approximately 155 ppi pixel density. The Nexus 7 is a tablet computer running Android 4.1 (also named Jelly Bean) operating system. It was developed in collaboration with Asus. Among the number of various companies launching phones based on Google’s Android, Google has also launched its own line of smartphones based on Android, called the Google Nexus. Each device in the Nexus line is produced via collaboration between Google and a leading original equipment manufacturer (OEM) partner. The Nexus devices in general have an advantage over other devices in that the Android in the Nexus devices is pure. I.e. the Android does not have any manufacturer or wireless carrier modifications to it, such as a custom graphical user interface. The Android also has an unlockable bootloader to allow further development and end-user modification, all of which is usually blocked on other Android smartphones. 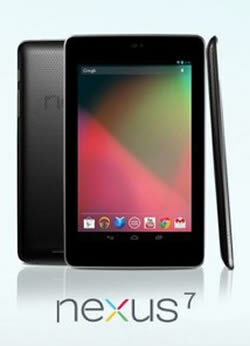 The Nexus 7 is a 7-inch tablet computer running Android 4.1 (named Jelly Bean) operating system. It was developed in collaboration with Asus. It was the first tablet in the Google Nexus series and features a 7-inch (180 mm) display, an Nvidia Tegra 3 quad-core chip, 1 GB of RAM, and 8, 16 or 32 GB of internal storage. The 8 and 16 GB models were Wi-Fi only, and the 8 GB was eventually discontinued. The 32 GB models are both Wi-Fi and 3G compatible. The Nexus 7 was marketed effectively as an entertainment device. The tablet has been designed with gaming purpose in mind and has received high resolution display and various sensors to make it the ultimate gaming tablet. The tablets has dropped the rear primary cameras in the tablet and instead focus on place a 1-2 MP front-facing camera for video chatting purposes. The company has also eliminated the Camera app, so users will have to download an app from third-party developers from Google Play. According to Techradar, the images from the camera were a little grainy, but video calling was seamless, with no lag during calls. The low price of the Nexus 7 makes it a good and cheap companion. The 32 GB is available for USD 199 from the website. The information for the detailed table about the two phones has been taken from the Dell website, trustedreviews.com, notebookcheck.net, Google website and GSMArena.com. Google; designed in collaboration with and manufactured by Asus.